The Aliso Canyon gas leak (also called Porter Ranch gas leak and Porter Ranch gas blowout) was a massive natural gas leak that was discovered by SoCalGas employees on October 23, 2015. Gas was escaping from a well within the Aliso Canyon's underground storage facility in the Santa Susana Mountains near Porter Ranch, Los Angeles. This second-largest gas storage facility of its kind in the United States belongs to the Southern California Gas Company, a subsidiary of Sempra Energy. On January 6, 2016, Governor Jerry Brown issued a state of emergency. The Aliso gas leak's carbon footprint is said to be larger than the Deepwater Horizon leak in the Gulf of Mexico. On February 11, 2016, the gas company reported that it had the leak under control. On February 18, 2016, state officials announced that the leak was permanently plugged. Aliso Canyon SS 25 wellhead, December 17, 2015. Note subsidence craters at center, apparently from the attempts to plug the leaking well. An estimated 97,100 tonnes (95,600 long tons; 107,000 short tons) (0.000097 Gt) of methane and 7,300 tonnes (7,200 long tons; 8,000 short tons) of ethane were released into the atmosphere, The initial effect of the release increased the estimated 5.3 Gt of methane in the Earth's atmosphere by about 0.002%, diminishing to half that in 6–8 years. It was widely reported to have been the worst single natural gas leak in U.S. history in terms of its environmental impact. By comparison, the entire rest of the South Coast Air Basin combined emits approximately 413,000 tonnes of methane and 23,000 tonnes of ethane annually. After oil was discovered at Aliso Canyon in 1938, J. Paul Getty's Tidewater Associated Oil Company produced oil and gas until the Sesnon-Frew reservoir, the largest reservoir within the oil field, was depleted in the early 1970s. On December 18, 1968, a blowout and fire, destroying equipment but causing no injuries, occurred at one of the wells when an operator attempted to remove two gas-lift valves. Getty sold his portion of the field to Pacific Lighting Company, a gas company, which repurposed it to gas storage in 1972. As opposed to current practice, older wells were not sealed to the surrounding rock formation, including their often more than one mile of steel casing. Today, "cement from the surface of the ground to the bottom of the well [...] makes the casings stronger and protects them from water." 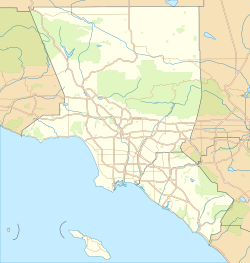 The Aliso Canyon natural gas storage facility contains 115 wells tapping a reservoir that "hold[s] up to 86 billion cubic feet of natural gas for distribution to residences, businesses, and electric utilities in the L.A. basin". The field is the second largest storage facility of its kind in the United States. Southern California Gas Company said the leak in well SS-25 was discovered "on October 23 during one of its twice-daily well observations." Residents of the nearby Porter Ranch reported what they thought was a home with a major leak on October 23, 2015. SoCal Gas "went from home to home to home, giving everybody the A-OK and [...] didn't admit to having a gas leak until [...] probably around the 28th of October." Local residents believed the gas blowout started before SoCalGas admitted to discovering it, and many residents reported having unexplained illnesses a week or so earlier. According to KPCC's website, some residents posted complaints of earlier symptoms on a Porter Ranch gas leak Facebook page. This event has been called a blowout in several news reports. For instance, an February 2016 article in The Orange County Register called "Gas facility that had blowout over Porter Ranch will have to play by new rules." stated "in the case of the blown-out well, the casing is believed to have failed under high pressure, allowing the gas to escape." According to OSHA's website a blowout is "an uncontrolled flow of gas, oil, or other well fluids" from a well." An article in The Huffington Post entitled "Here’s How Enormous The Methane Blowout Is In California" stated that as of February 1, 2016, the SS-25 well released an estimated 91,000 metric tons of methane gas. "The article said that "while this gas blowout has prompted comparisons to BP’s oil well failure in the Gulf of Mexico in 2010 and the Exxon Valdez oil spill in Alaska in 1989, experts say this leak will have further-reaching environmental consequences." The source of the leak was a metal pipe in a breached 7-inch (180 mm) casing of injection well "Standard Sesnon 25" (SS 25) that lies 8,750 feet (2,670 m) deep. SoCal Gas had hypothesized that the leak was no more than 500 feet (150 m) down in the column used to move gas in and out of the well. Well SS 25 was drilled in 1953 and initially had safety valves, which were removed in 1979 because the valves were old and leaking. Because the well was not considered "critical, that is, one within 100 feet of a road or a park, or within 300 feet of a home", the valves were merely removed and not replaced. Multiple safety valves had been removed from the Aliso Canyon/Porter Ranch 1950s-era pipes in 1979, and were never replaced, a fact that was also confirmed by a special investigation into the leak by Congressman Brad Sherman's office. The atmospheric scientist Steve Conley said the wellhead in Aliso Canyon was 61 years old and he was not "shock[ed] that it failed". One reason for the casing failure may have been gas flow not just through the tubing, but also through the casing "in order to meet the demand of a customer", as told by an injection well expert of Texas A&M University interviewed by NPR. On December 7, 2015, an anonymous video was published that showed a cloud of methane gas hovering over the community of Porter Ranch. The image was captured with an infrared camera, showing the extent of the plume. Natural gas consists largely of methane, an invisible and odorless greenhouse gas with a global warming potential 86 times greater than carbon dioxide in a 20-year time frame, tailing off to about 29 times the effect of carbon dioxide in a 100-year time frame on a mass per mass basis. The leak initially released about 44,000 kilograms(kg) of methane per hour or 1,200 tons of methane every day, which in terms of greenhouse gas output per month compares with the equivalent effluvia from 200,000 cars in a year. On January 14, 2016, Time magazine compared the 1.6 million lbs of methane released each day to the emissions of 6 coal fired powerplants, 2.2 million cows per day, or 4.5 million cars. As of January 2016, the latest methane measurement per the California Air Resources Board (Carb) was from December 22, 2015 and had decreased from a peak of 58,000±12,000 kg/h to 30,300 kg/h, the equivalent of "more than 1,411,851 cars" by a different calculation using EPA estimates. The Aliso gas leak carbon footprint is referred to as "larger than the Deepwater Horizon leak in the Gulf of Mexico". This single event had a 100-year global warming potential of about 1.5% of the entire annual SoCAB methane and carbon dioxide emissions. Steve Conley, an atmospheric scientist at UC Davis and owner of Scientific Aviation, independently measured the gas emissions. He sampled the air by flying over the site in his single-engine airplane equipped with an analyzer, which is one of only 3 or 4 of such planes in the country. He said the Aliso Canyon flights were "the hardest [...] I've ever done" because of the headache-inducing smell and sickening turbulence. He doubted the readings initially, and "thought [the instruments] had stopped working because I'd never seen measurement that large before." He had coincidentally been contracted by the California Energy Commission prior to the gas leak, and said that if he hadn’t been contracted and ready to go, "no one would have known how big [the leak] was." Methane emissions from the Aliso Canyon gas leak were detected by the TCCON site at Caltech within a day of the start of the leak, but researchers at Caltech did not have an explanation for what was causing something "really weird" over Pasadena until later. TCCON's monitoring data were used in analyses of the leak to estimate ethane emissions of 7,700 ± 1,700 tonnes using Steve Conley's methane estimate of 97,100 tonnes. Besides methane, the gas leak contained tert-butyl mercaptan, tetrahydrothiophene, and methyl mercaptan, which gives the gas a rotten-egg smell. These odorants have been used for decades and were considered harmless although they can cause nausea and vomiting. In addition, the gas contains some volatile organic compounds such as the carcinogen benzene. The pollutants may have long-term consequences far beyond the region. Local residents have reported headaches, nausea, and severe nosebleeds. About 50 children per day saw school nurses for severe nosebleeds. There have been more than usual eye, ear and throat infections. By December 25, 2015, more than 2,200 families from the Porter Ranch neighborhood had been temporarily relocated, and more than 2,500 households were still being processed. As of January 7, 2016, 2,824 households or about 11,296 people had been temporarily relocated by SoCal Gas, while more than 6,500 families have filed for help. Two schools were relocated in January. The community of Eight Mile, Alabama had a spill of the natural gas odorant within their community in 2008. Residents continue to experience these symptoms under their long term exposure to mercaptan. The residents say they got very little of the assistance provided to Porter Ranch residents. Methyl mercaptan is toxic if inhaled according to its MSDS sheet. However, it is considered fairly harmless by government and industry officials. Whether it is the source of the illnesses in Porter Ranch and Eight Mile has been a subject of debate. By the end of November 2015 SoCal Gas had attempted six well kill procedures to stop the gas flow by pumping a mixture of mud and brine down the well, the last being on November 25. The attempts failed because of ice formation and a high upward pressure averaging 2,700 pounds per square inch. On December 4, 2015 SoCal Gas started drilling a relief well to the caprock, 8,000 feet down, with the help of Boots & Coots, a subsidiary of Halliburton. The relief well is "similar to the relief well BP’s engineers drilled to stop oil flowing into the Gulf of Mexico in 2010 after the Deepwater Horizon disaster". The plan was to pump liquid and cement into the main well once the relief well could vent the gas safely. SoCal Gas estimated the first relief well would be completed by February 24, 2016. SoCal Gas planned to drill a secondary relief well, estimating the leak repair to take up until the end of March 2016. After the seventh effort to plug the leak with slurry starting December 22 had created a 25-feet-deep crater around the wellhead, the danger of a blow out increased. The well needed to be stabilized with tension cables and further attempts to plug the well from above were halted. State regulators became more concerned about the wellhead's stability. In January SoCal Gas sought permission to capture the natural gas and possibly incinerate it, but state regulators voted against it, worried about safety. On February 11, 2016, the relief well intercepted the base of the leaking well and the company began pumping heavy fluids to control the flow of gas out of the leaking well. On February 18, 2016, state officials announced that the leak was permanently plugged. Steve Conley, the atmospheric scientist that has been measuring the leak's gas emissions, has stated that there was no rapid response plan for this kind of event: "We do not have anything in place to measure giant leaks like this, or to watch them to solve issues." He suggested that contracts needed to be ready so that, "as soon as a leak is spotted you are given a go order and two hours later you're measuring a leak." On January 11, 2016 Mitchell Englander, the Los Angeles City Councilman representing Porter Ranch, criticized SoCal Gas "operating a facility of this magnitude, [...] feeding 20 million addresses" for not having a backup plan, the delay in bringing necessary equipment on site "from the Gulf states like they did in this particular situation" and the delay in catching the brine, oil and chemical mist "landing on people's homes and turning their cars black". The Center for Biological Diversity has criticized Governor Brown's slow response "because state regulators' hands-off approach to underground injection helped set the stage for this catastrophe." The Center also said, "The state has known for years that aging natural gas infrastructure was a disaster waiting to happen, but officials mostly ignored those risks." Experts in petroleum engineering criticized the delay for not drilling a relief well until six weeks after the leak was known, and for drilling only one relief well instead of two. In January 2016 the Associated Press reported that SoCal Gas had been under-reporting the levels of benzene in the air surrounding the well. Within two days of discovery, "a dozen or more local and state agencies were involved". The California Air Resources Board measured methane on the ground near the well, from towers, satellites and airplanes, communicating results to the California Energy Commission and SoCal Gas. :1 The Board asked SoCal Gas 18 very detailed questions about the natural gas, basic leakage rate and leak dynamics. :4–5 The Federal Aviation Administration established a temporary flight restriction over the leak site until March 2016. On December 7, 2016 Los Angeles City Attorney Mike Feuer sued SoCal Gas over its handling of the massive well failure. On December 15, 2015, the County of Los Angeles declared a state of emergency. Feuer's Office went to Court again on December 23, 2015 and secured a judicially enforceable agreement with SoCal Gas for the company to speed up relocation efforts of residents affected by the massive leak. Local residents called upon Governor Jerry Brown to intercede. Kathleen Brown, his sister, is on the board of Sempra Energy, which owns Southern California Gas. The Governor visited the site and the neighborhood on January 4, 2016, and declared a state of emergency on January 6, 2016. 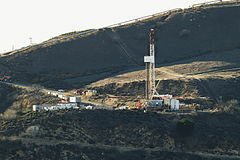 He issued stepped-up inspections and safety measures for all natural gas storage facilities in California; further injections at Aliso Canyon had already been prohibited. Local health officials indicated that long-term exposure to certain trace chemicals could lead to health problems. In January 2016 two California senators asked the heads of the US Department of Justice and US Department of Transportation and the Environmental Protection Agency for a "legal analysis of any federal authorities that could apply to this incident and storage fields in general" and a "technical analysis of whether Southern California Gas Company could more quickly reduce the gas stored in the facility." On January 11, four California State senators introduced bills to enact an immediate moratorium on any new injections of natural gas and the use of vintage wells (SB 875), to ensure that SoCal Gas will pay housing, relocation and emergency response costs and prohibit the California Public Utilities Commission (CPUC) from allocating those costs to ratepayers, and that it will pay the costs to mitigate the greenhouse gas emissions from its utility profits (SB 876). SB 887 would require all 14 underground natural gas storage facilities to be inspected within the next 12 months and at least annually thereafter; it would also require enhanced safety standards such as the installation of subsurface safety valves, using new leak-detection technology and development of rigorous response plans. The unavailability of the Aliso Canyon gas storage facility has caused insufficient delivery of gas to power plants, leading to a strained electricity grid. The CPUC has ordered Southern California Edison to install a 20 MW (80 MWh) lithium ion battery storage capacity at the utility's Mira Loma substation near San Bernardino, California to mitigate power failures during winter. The Los Angeles Times wrote that no politician is "pursuing the issue as hard as Caforio," who on January 6, 2016, spoke to a group of disgruntled Porter Ranch residents who attended a meeting co-hosted by environmental activist Erin Brockovich. Caforio "aggressively attacked" his opponent, Steve Knight, for his delayed response to the leak. While Knight states he does not want to politicize the disaster, fellow Republican Michael Antonovich, a Los Angeles County supervisor who has voted consistently against regulation efforts, has been outspoken about his determination to hold SoCalGas responsible. Elected officials, including Congressman Brad Sherman and Senator Henry Stern, took the position that no decision about whether to reactivate the facility until the health study and an ongoing search for the leak’s cause are complete. SoCalGas had been repeatedly asking California regulators for permission to resume pumping pressurized natural gas into the ground in Porter Ranch, northeast of Los Angeles, at the depleted oil field, which has continued to be used for storage. Records show the utility has been negotiating this step with regulators for several weeks. Since the multiple investigations into the cause of the leak have not been completed, Congressman Brad Sherman insisted that the process of reopening the storage facility must proceed with extreme caution. Aliso Canyon is not deemed ready to resume normal operations by regulators or chief politicians that are involved with the oversight of the securing and cleanup of the leak. Congressman Brad Sherman urged that the gas company be restricted to minimal operations required to prevent power interruptions. The storage field is a primary supplier to gas-powered electric plants. The gas leak has been cited by experts and independent researchers as the largest in U.S. History. On November 23, 2015, some residents who had been displaced by the leaking gases filed a lawsuit in Los Angeles Superior Court to require that SoCal Gas to disclose information related to the health risks of the gases released. The plaintiffs also had continued to seek damages. In January, it was thought that residents might have filed as many as 1,000 lawsuits. On February 2, 2016, Los Angeles County filed criminal charges against SoCalGas for its failure to report the leak immediately. The charges include three counts of failing to immediately report the leak following its detection on October 23, 2015, and one count of "discharging air contaminants" beginning the same day. On September 13, 2016, The Los Angeles Times reported that SoCalGas reached a plea agreement with the Los Angeles County prosecutor's office. Under the agreement, SoCalGas plead no contest to one misdemeanor count of failing to immediately report the October 2015 leak and was ordered to pay a $4 million fine. The resulting settlement between the local Los Angeles prosecutor's office and SoCalGas executives had ended in a mere misdemeanor charge, the lowest possible charge, which can be expunged. In addition to the negotiated plea deal, SoCalGas had paid a penalty fine of a relatively small $4 million U.S. dollars. $4 million USD is the equivalent of the amount of revenue that SoCalGas received in profits in less than most average 12 hour time periods during the fiscal year of 2015. The Porter Ranch Gas Leak has been cited often by experts and independent tests as the largest gas leak in U.S. History. In 2018 SoCalGas agreed to payments of $119.5 million to several government entities over the incident. ^ a b Gregory J. Wilcox (December 15, 2015). "LA County declares state of emergency over Porter Ranch gas leak". Los Angeles Daily News. Retrieved December 27, 2015. ^ a b c d e f Abram S (December 19, 2015). "Two months in, Porter Ranch gas leak compared to BP Gulf oil spill". Los Angeles Daily News. Retrieved December 27, 2015. ^ a b Tony Barboza (January 6, 2016). "Brown declares state of emergency at Porter Ranch amid massive gas leak". The Los Angeles Times. Retrieved January 7, 2016. ^ Tim Walker (January 2, 2016). "California methane gas leak 'more damaging than Deepwater Horizon disaster'". The Independent. Retrieved July 6, 2017. ^ a b SoCal Gas Press Release (February 11, 2016). "SoCal Gas Temporarily Controls Flow of Gas at Leaking Aliso Canyon Well; Initiates Process of Permanently Stopping the Leak" (PDF). Retrieved February 11, 2016. ^ a b Conley et al., Methane emissions from the 2015 Aliso Canyon blowout in Los Angeles, CA. In: Science (2016), doi:10.1126/science.aaf2348. ^ a b c "Porter Ranch gas leak permanently capped, officials say". The Los Angeles Times. Retrieved February 18, 2016. ^ Matt McGrath (February 26, 2016). "California methane leak 'largest in US history'". BBC. Retrieved February 26, 2016. ^ "The Massive Methane Blowout In Aliso Canyon Was The Largest in U.S. History". ThinkProgress. Retrieved February 26, 2016. ^ a b c Wunch, Debra; Toon, Geoffrey C.; Hedelius, Jacob K.; Vizenor, Nicholas; Roehl, Coleen M.; Saad, Katherine M.; Blavier, Jean-François L.; Blake, Donald R.; Wennberg, Paul O. (2016). "Quantifying the loss of processed natural gas within California's South Coast Air Basin using long-term measurements of ethane and methane". Atmospheric Chemistry and Physics. 16 (22): 14091–14105. doi:10.5194/acp-16-14091-2016. ISSN 1680-7324. ^ Zahira Torres, Frank Shyong (January 3, 2016). "Leaking gas well in Porter Ranch area lacked a working safety valve". The Los Angeles Times. Retrieved January 20, 2016. ^ a b c d e f g Maddaus G (December 22, 2015). "What went wrong at Porter Ranch?". LA Weekly. Retrieved December 28, 2015. ^ a b c d e f Herman K. Trabish (December 21, 2015). "Historic Los Angeles methane leak puts natural gas emissions under scrutiny". Utility Dive. Industry Dive. Retrieved January 20, 2016. ^ Amy Goodman Erin Brockovich: California Methane Gas Leak is Worst U.S. Environmental Disaster Since BP Oil Spill Democracy Now, December 30, 2015, retrieved January 11, 2016. ^ "Gas facility that had blowout over Porter Ranch will have to play by new rules". Orange County Register. February 24, 2016. Retrieved August 1, 2016. ^ "Oil and Gas Well Drilling and Servicing eTool | Glossary of Terms - B". Osha.gov. Retrieved 2016-09-16. ^ "Here's How Enormous The Methane Blowout Is In California". Huffington Post. 2016-02-02. Retrieved 2016-09-16. ^ Justin Worland, Heather Jones. This Is How Much the California Gas Leak Is Hurting the Planet Time magazine, January 14, 2016, retrieved January 17, 2016. ^ Zhang, Sarah. "The Lone Pilot Flying Over California's Giant Methane Leak". Wired. Retrieved February 3, 2016. ^ Fesenmaier, Kimm (April 18, 2016). "Aliso Canyon, Methane, and Global Climate: A Conversation with Paul Wennberg". Science and Technology Research News. Retrieved 12 May 2016. ^ a b Penn, Ivan (October 15, 2016). "We cannot breathe:' A poor Alabama town has lived with the rotten egg stench of gas for 8 years". Los Angeles Times. Retrieved 15 October 2016. ^ a b Gazzar B (December 25, 2015). "Porter Ranch gas leak dampens Christmas spirit for those struggling to relocate". Los Angeles Daily News. Retrieved December 27, 2015. ^ Peak Benzene Air Levels in the Porter Ranch Community Archived January 8, 2016, at the Wayback Machine oehha.ca.gov, January 5, 2016, retrieved January 11, 2016. ^ Warrick W (December 24, 2015). "New infrared video reveals growing environmental disaster in L.A. gas leak". The Washington Post. Retrieved December 27, 2015. ^ "Methyl mercaptan MSDS" (PDF). Retrieved March 20, 2017. ^ a b c Sahagan L (December 27, 2015). "SoCal Gas pinpoints the site of a leaking well near Porter Ranch". The Los Angeles Times. Retrieved December 28, 2015. ^ St. John P (January 15, 2016). "Efforts to plug Porter Ranch-area gas leak worsened blowout risk, regulators say". The Los Angeles Times. Retrieved January 17, 2016. ^ Steve Inskeep, Renee Montagne (January 11, 2016). "LA Councilman Compares Porter Ranch Gas Leak To BP Oil Spill But On Land". Around the Nation. NPR. ^ David Siders Jerry Brown declares emergency around Southern California gas leak The Sacramento Bee, January 6, 2016, retrieved January 11, 2016. ^ Domonoske, Camila (January 15, 2016). "Gas Company Understated Benzene Exposure From California Leak". NPR. Retrieved January 18, 2016. ^ a b Mary Nichols (December 10, 2015). "Letter to the CEO of SoCalGas" (PDF). Air Resources Board. p. 5. Retrieved January 20, 2016. ^ "Sempra Energy". sempra.com. Retrieved January 22, 2016. ^ Devin Henry (January 13, 2016). "Dems seek feds' help in California methane leak". The Hill. Capitol Hill Publishing Corp. Retrieved January 20, 2016. ^ Prabhakaran, Vidhya (January 26, 2016). "Who Pays to Fix the Aliso Canyon Methane Leak?". Energy & Environmental Law Blog. Davis Wright Tremaine LLP. Retrieved January 27, 2016. ^ "SCE taps Tesla for 80 MWh storage project to deal with Aliso Canyon gas shortage". Utility Dive. September 16, 2016. Retrieved October 28, 2016. ^ Geuss, Megan (September 16, 2016). "SoCal utility will buy 80MWh of battery storage from Tesla after methane leak". Ars Technica. Retrieved October 28, 2016. ^ "Class-action lawsuit filed over Porter Ranch gas leak". The Los Angeles Times. Retrieved February 26, 2016. ^ "Porter Ranch SoCalGas Well Blowout Lawsuits". Porter Ranch SoCal Gas Leak Lawsuits Center. Retrieved February 26, 2016. ^ Matt Ferner, Lydia O’Connor (8 January 2016). "Here's What It's Like To Live Next To California's Gas Blowout Catastrophe". The Huffington Post. Retrieved 14 June 2016. ^ St John, Paige; Walton, Alice. "L.A. County files criminal charges over Porter Ranch gas leak". The Los Angeles Times. Retrieved February 3, 2016. ^ Goldenberg, Suzanne. "Los Angeles files criminal charges against SoCal Gas over massive gas leak". The Guardian. Retrieved February 3, 2016. ^ "District Attorney Jackie Lacey Files Criminal Charges Against SoCal Gas for Aliso Canyon Leak". Los Angeles County District Attorney's Office. Retrieved February 3, 2016. ^ Times, Los Angeles. "SoCal Gas to pay $4-million settlement over massive Porter Ranch gas leak". latimes.com. Retrieved 2016-09-13. ^ "Porter Ranch gas leak settlement angers residents". RT America. Retrieved January 30, 2017. ^ Domonske, Camila (8 August 2018). "California Company Reaches $119.5 Million Settlement Over Massive Gas Leak". Retrieved 17 August 2018. Wikimedia Commons has media related to Aliso Canyon gas leak. CalOES.gov: official Alison Canyon Natural Gas Leak website — The California Governor’s Office of Emergency Services (CalOES). CPUC.gov: Aliso Canyon Well Failure — California Public Utilities Commission (CPUC), State of California. CalOEHHA.gov: Aliso Canyon Underground Storage Field in Los Angeles County — Office of Environmental Health Hazard Assessment (OEHHA), January 15, 2016.